Plenty of Novatoans (residents of Novato) will be upset by the tree cadaver crisis. 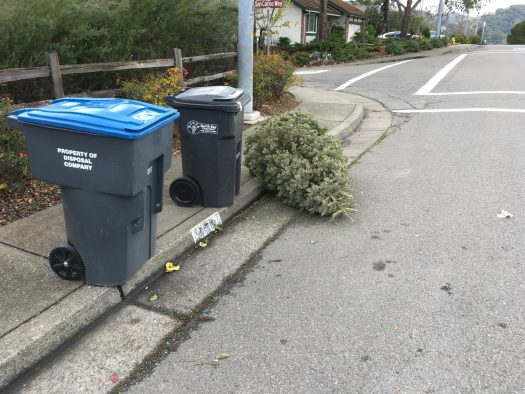 Every year it’s the same: those residents who met the not-so-vague tree pickup deadline will be vexed and frequently posting on Nextdoor about the unsightly trees. Then the do-gooders will be like “we’ll let me tell you something Mr Potty Mouth…”.